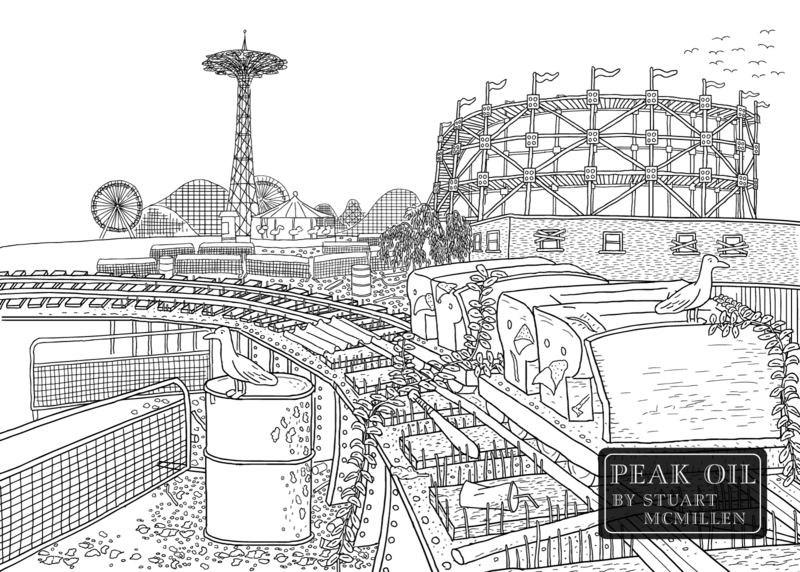 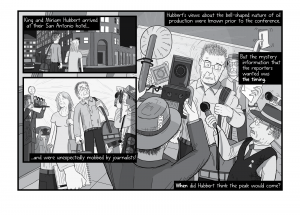 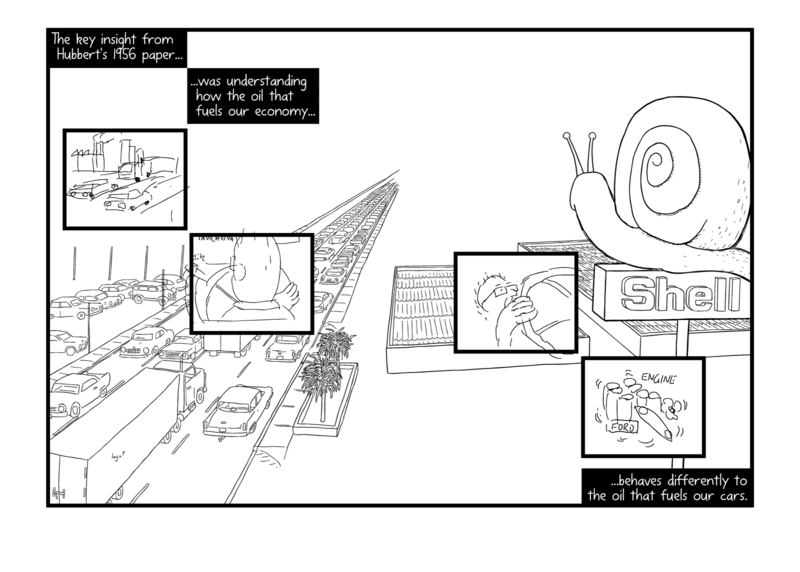 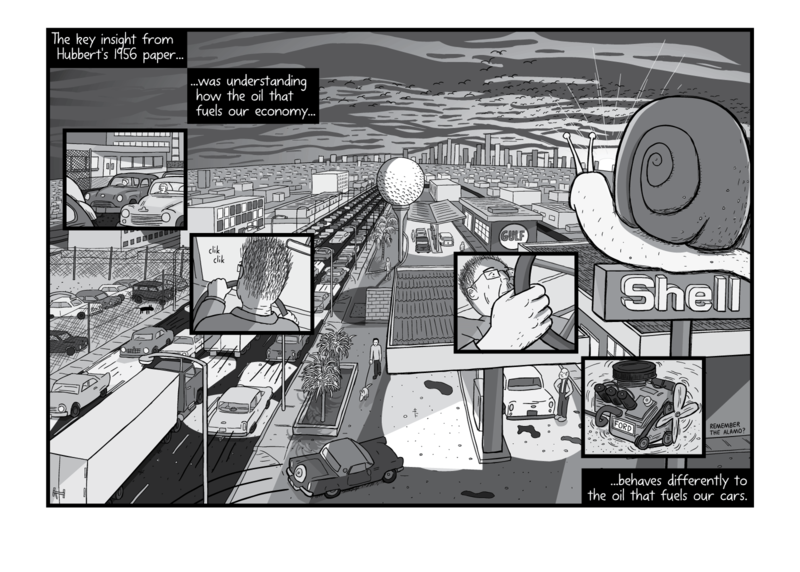 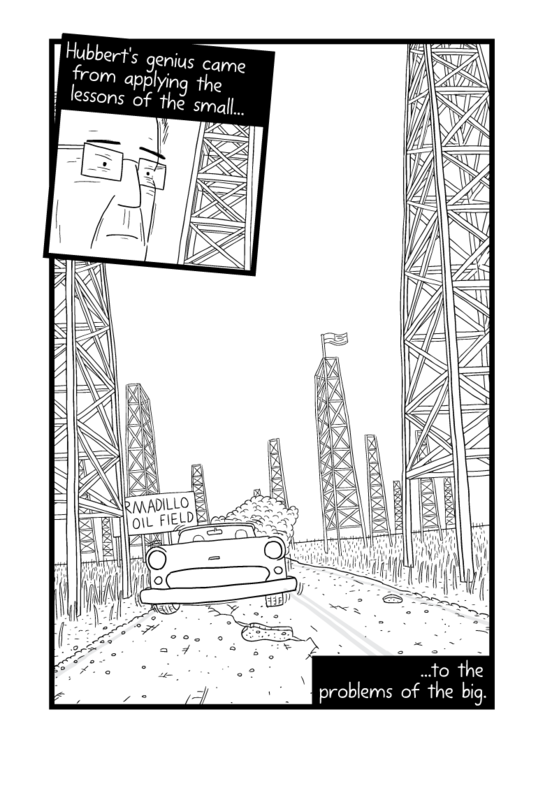 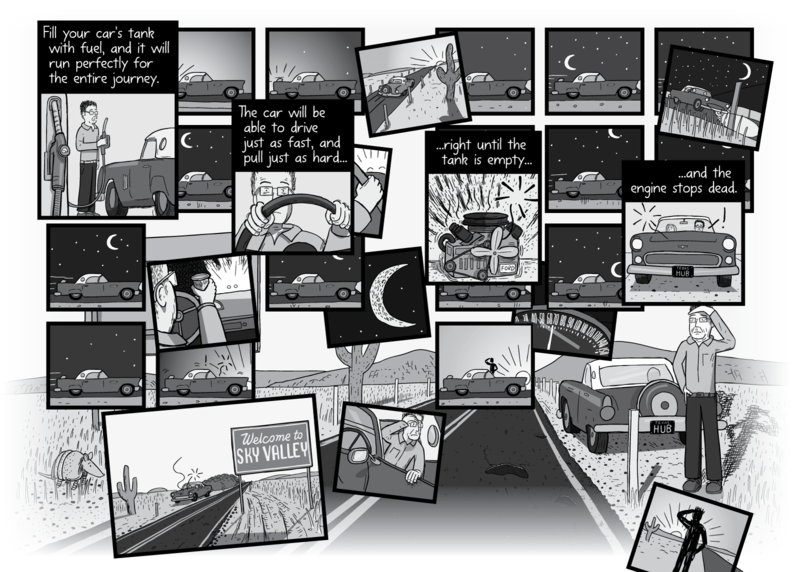 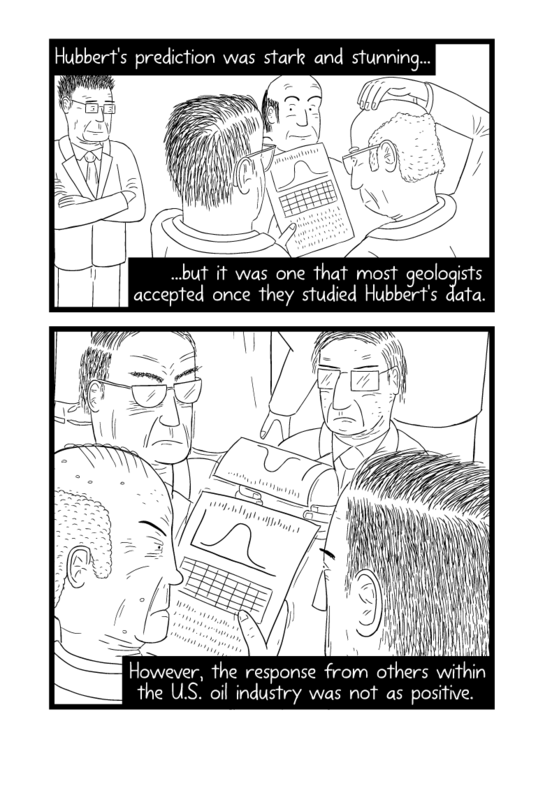 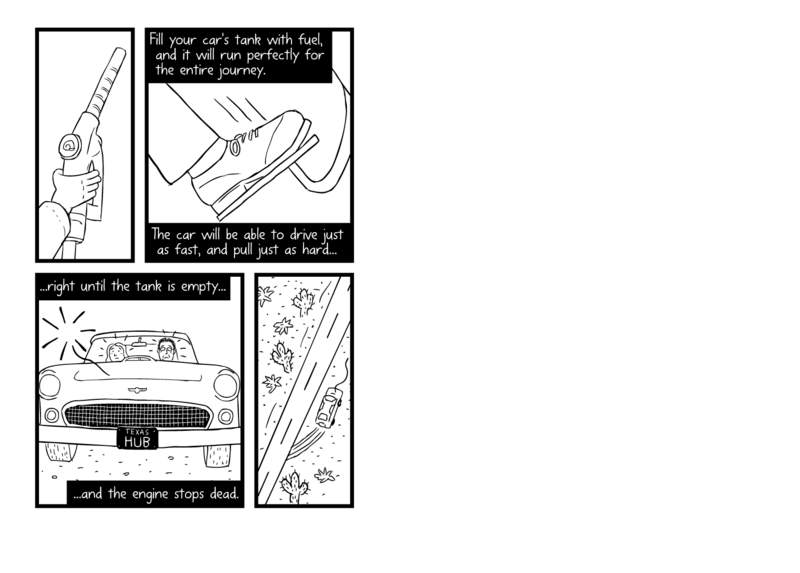 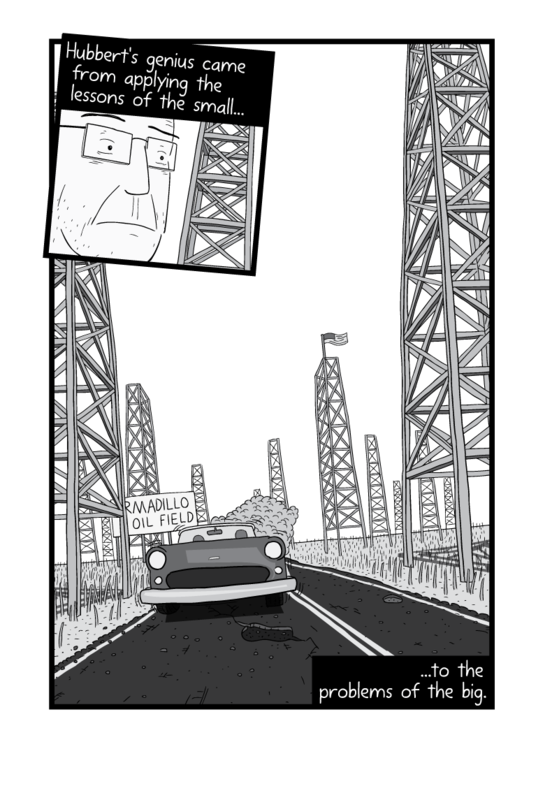 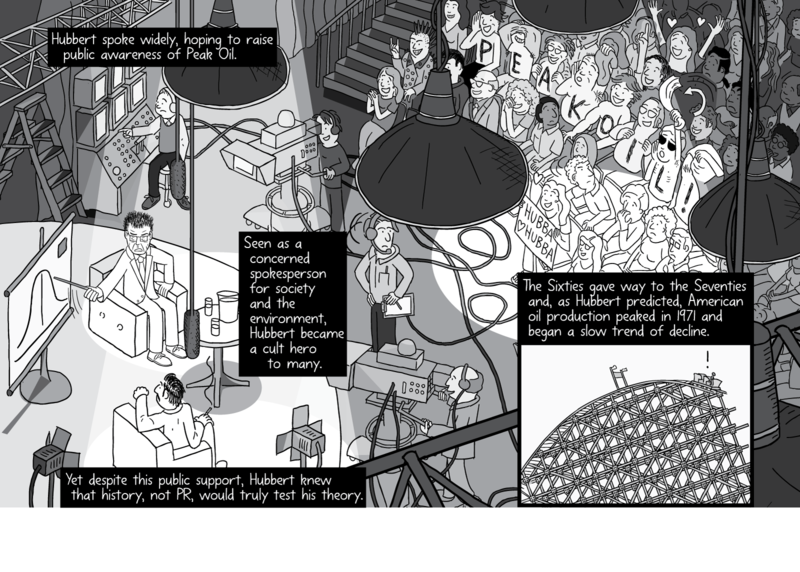 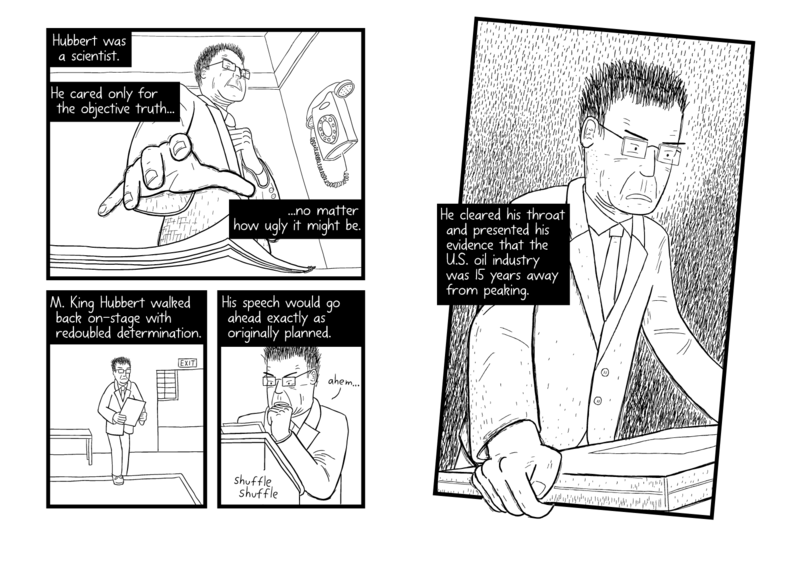 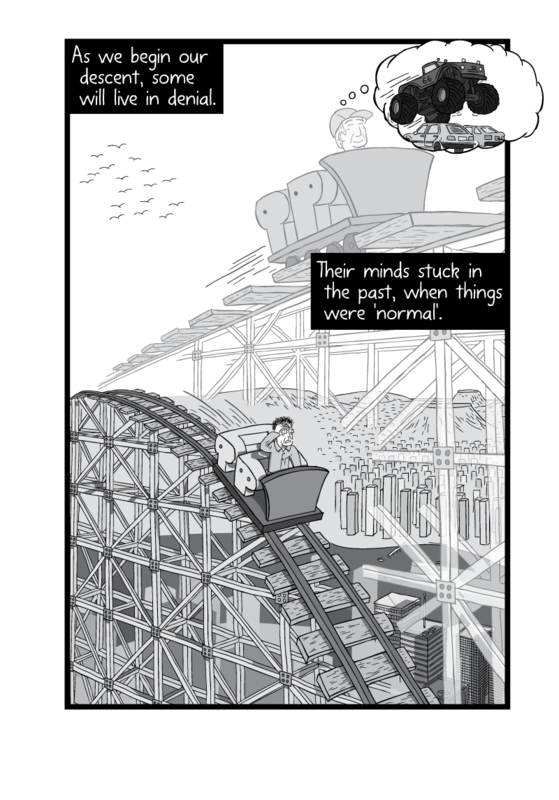 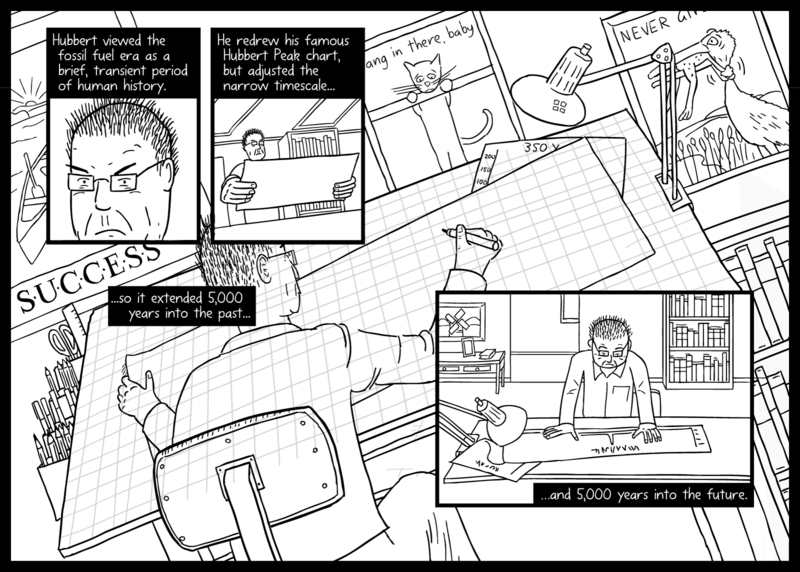 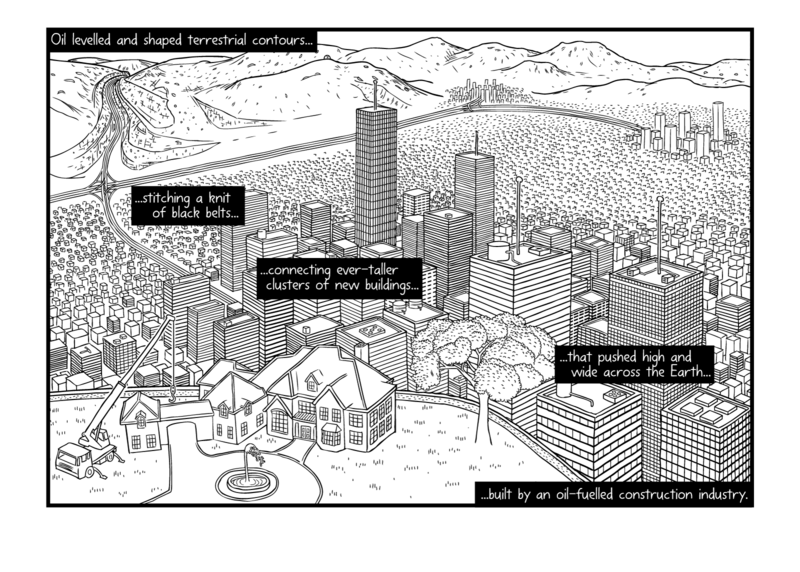 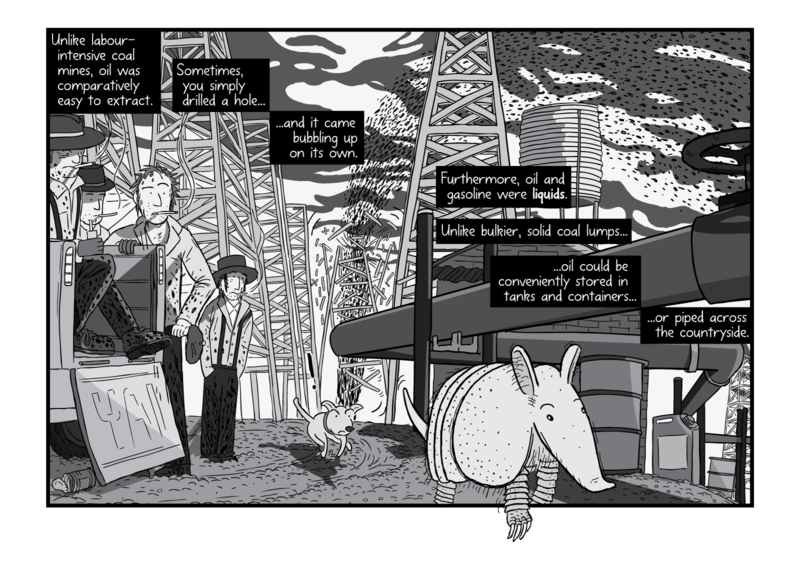 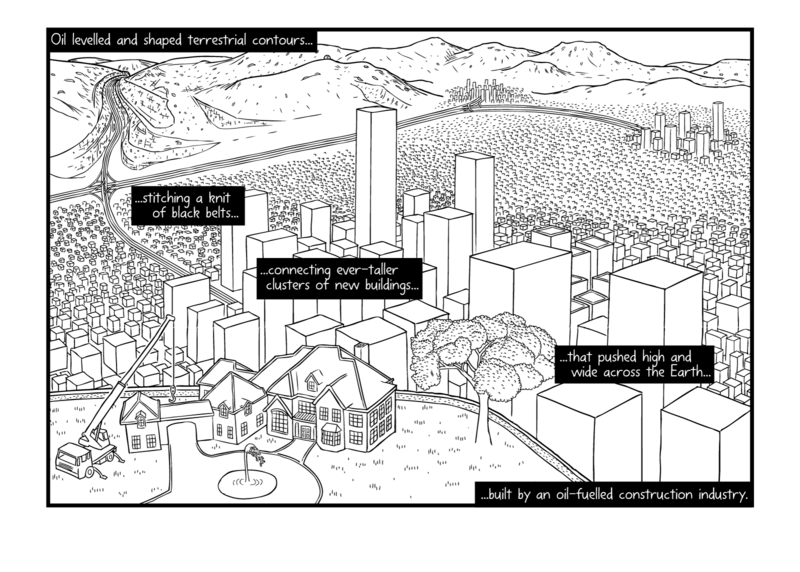 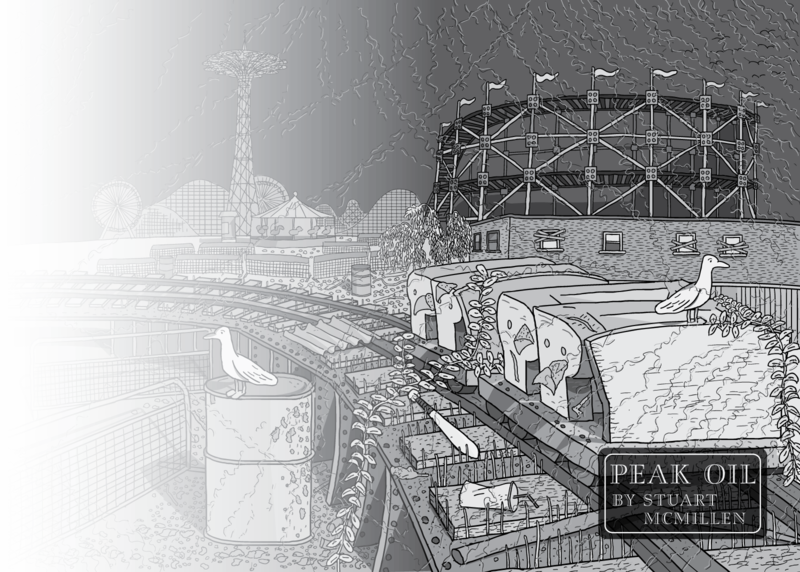 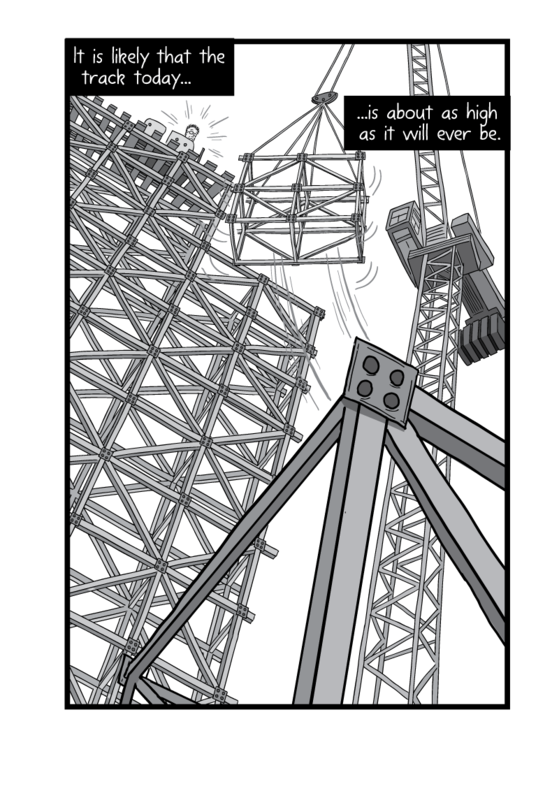 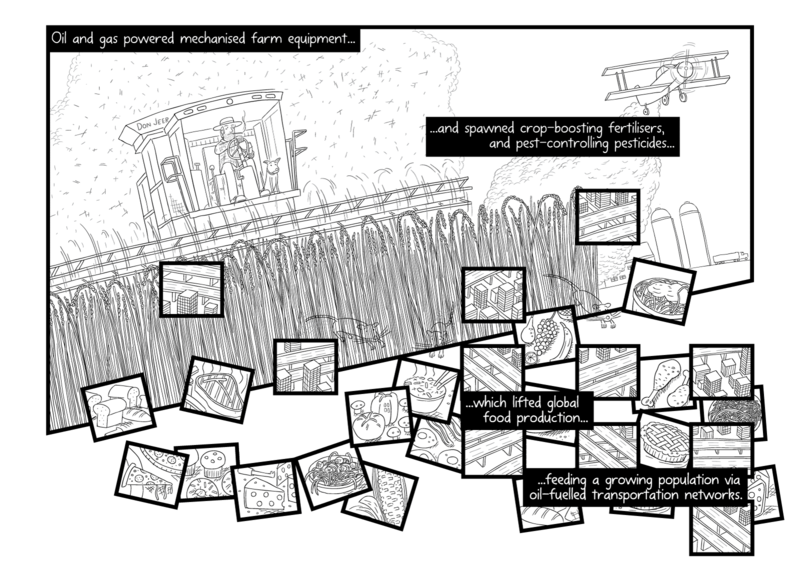 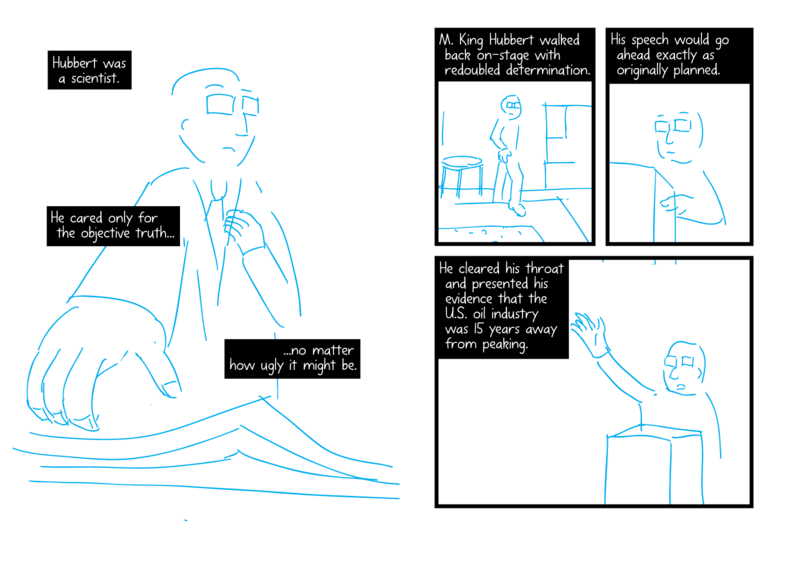 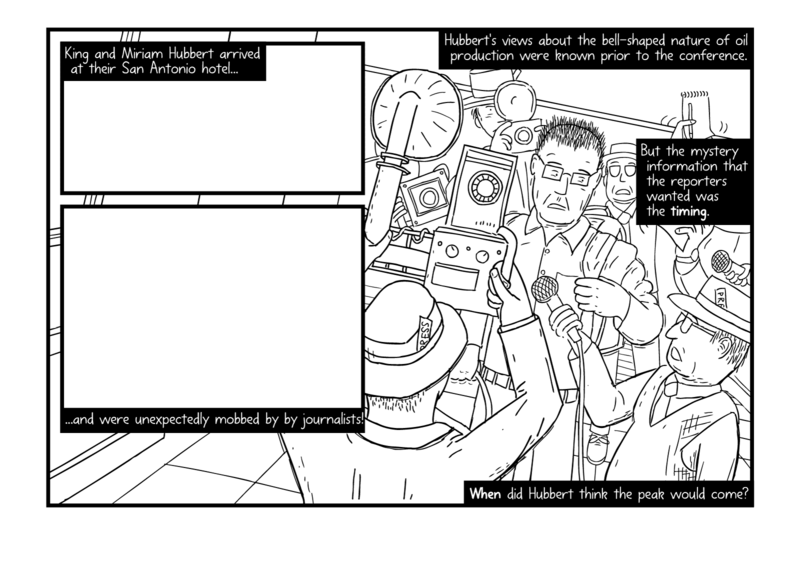 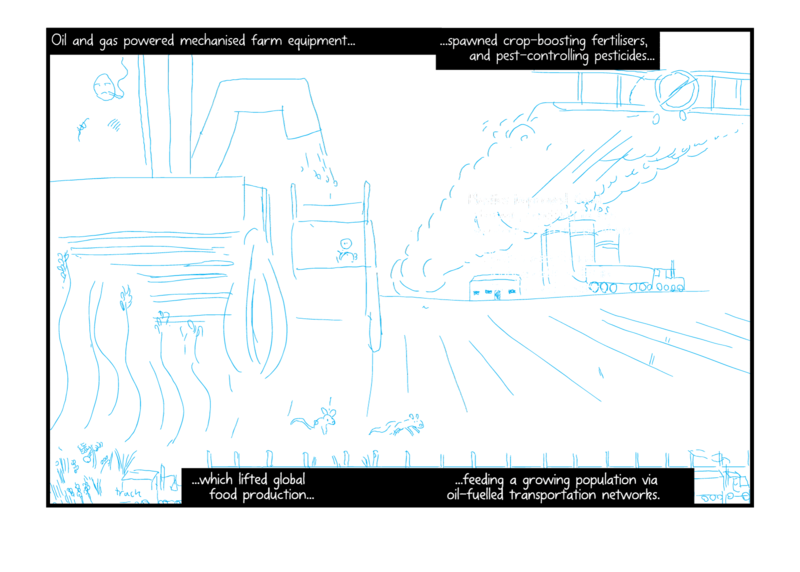 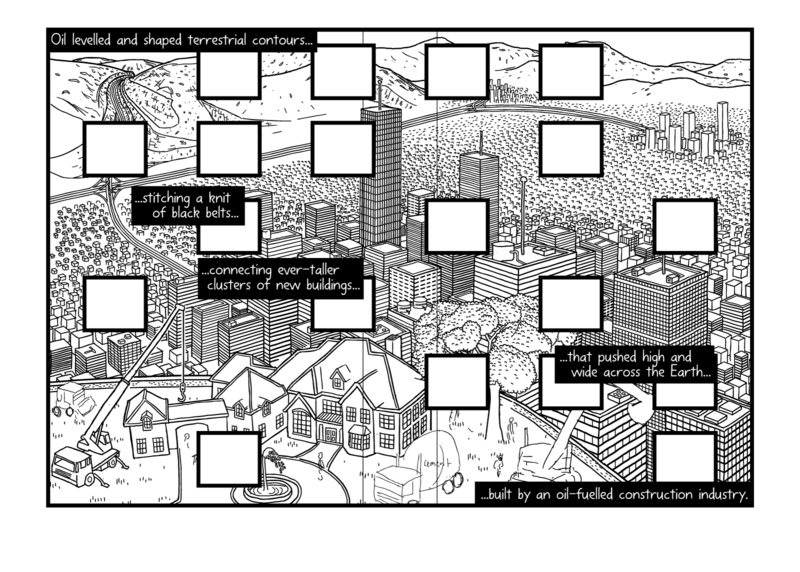 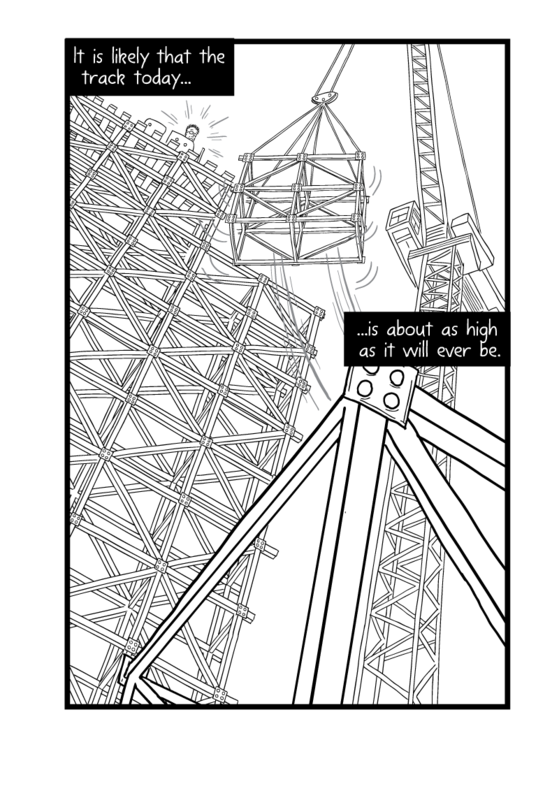 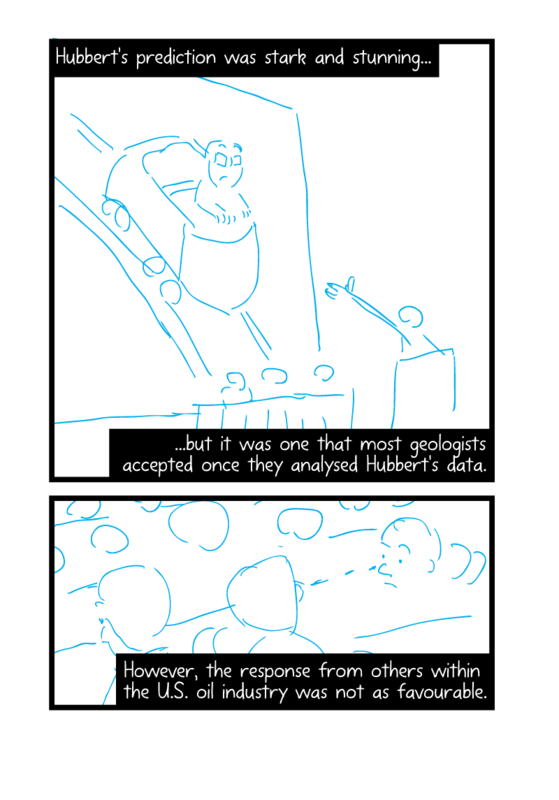 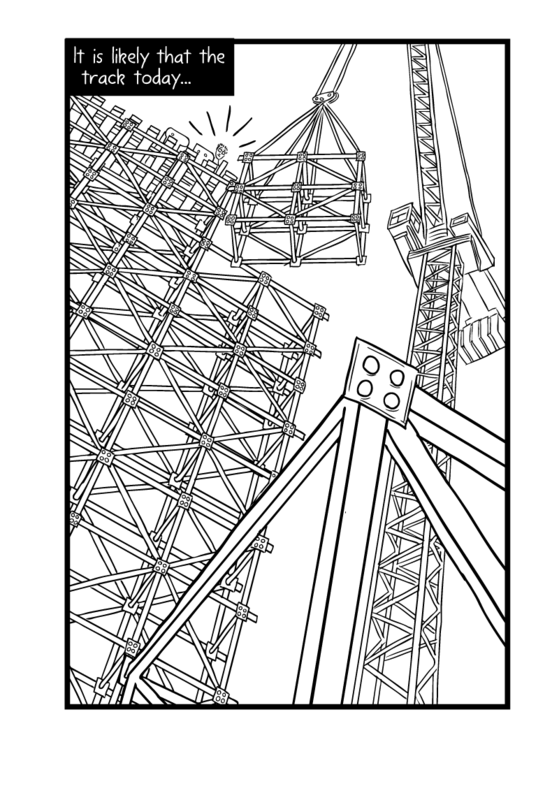 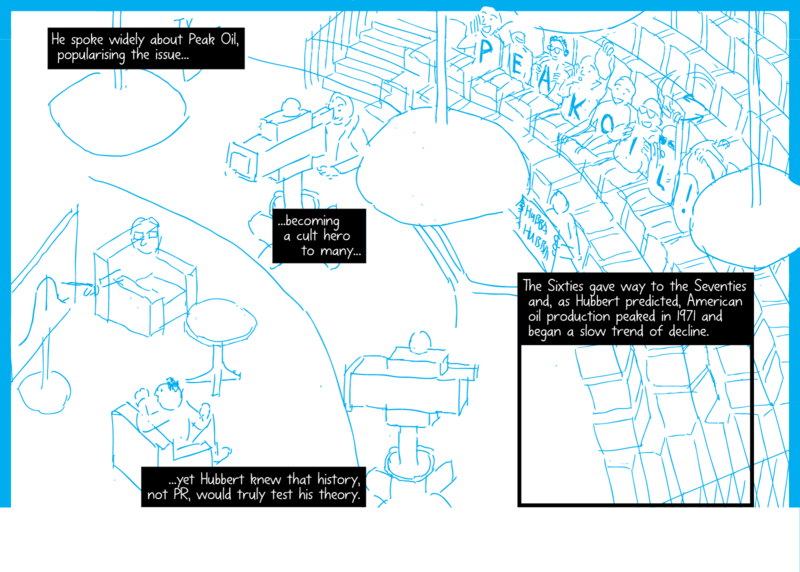 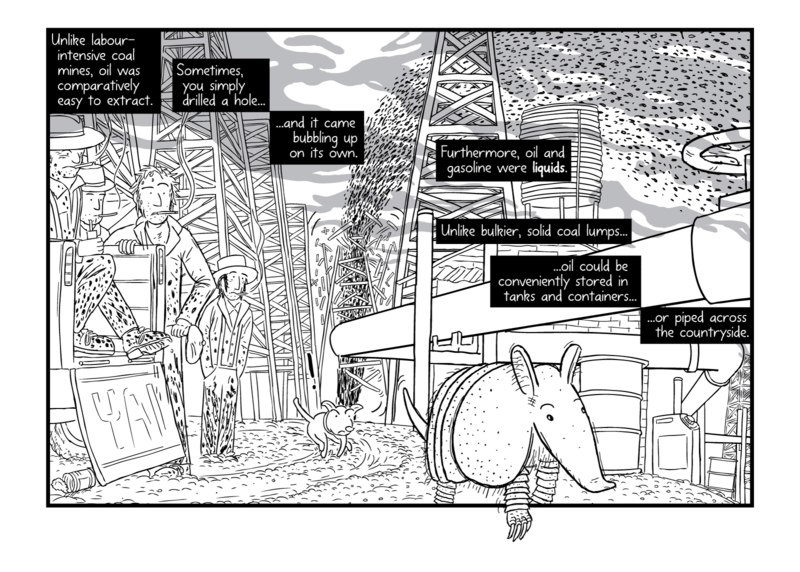 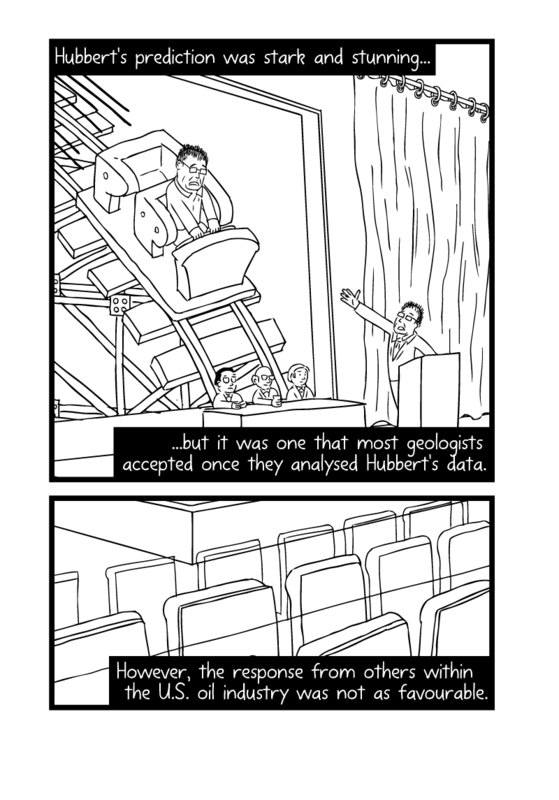 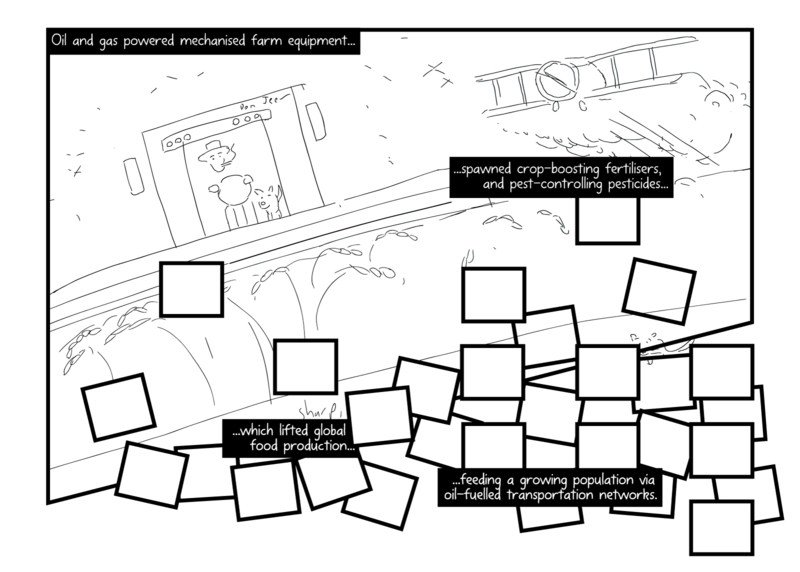 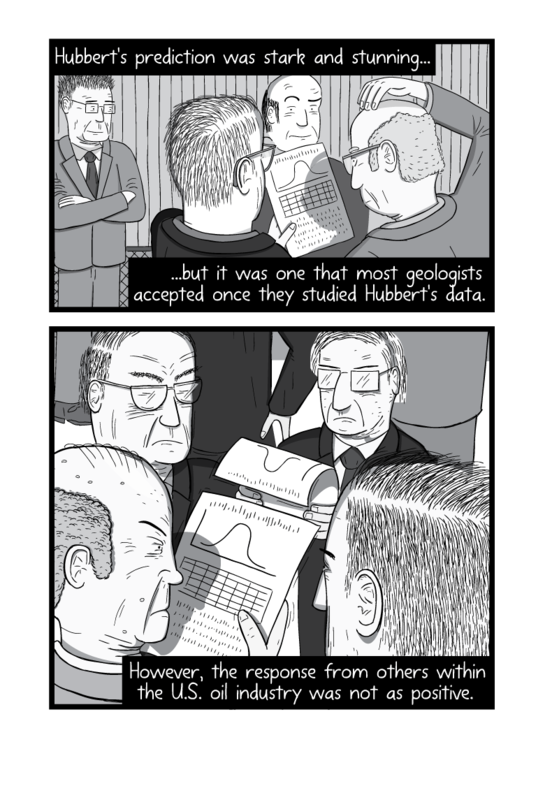 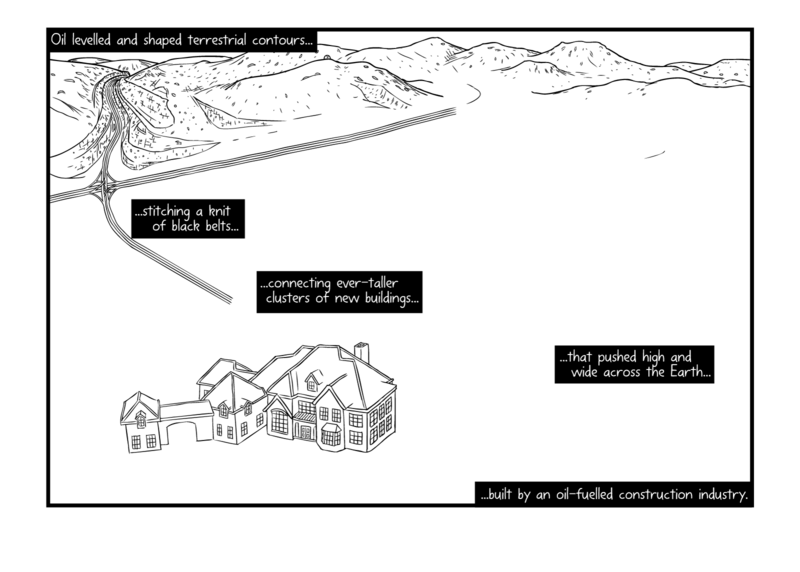 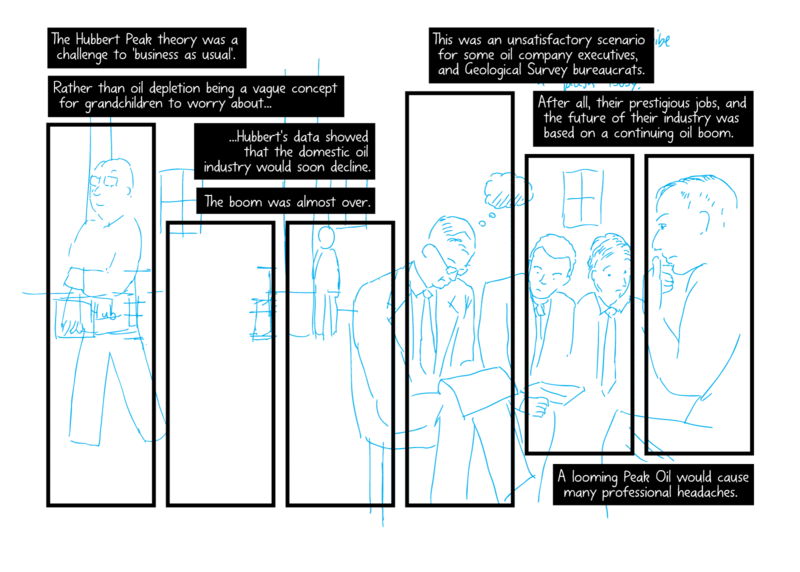 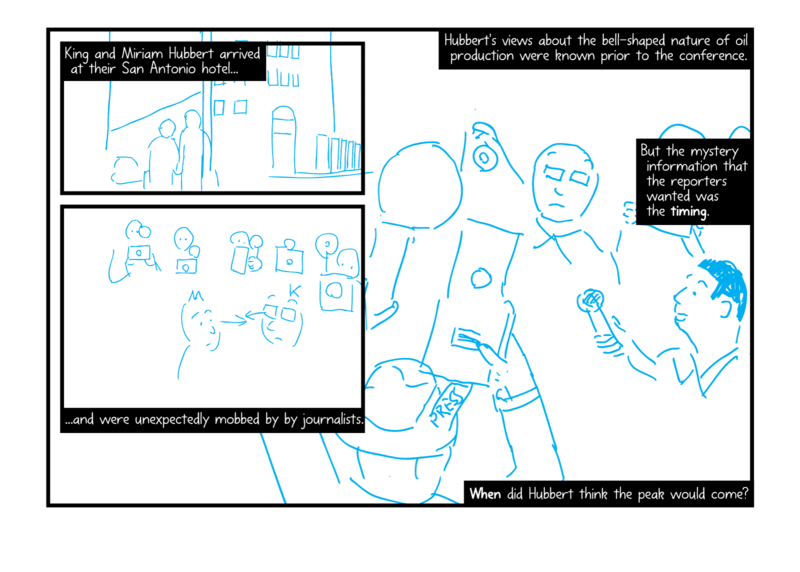 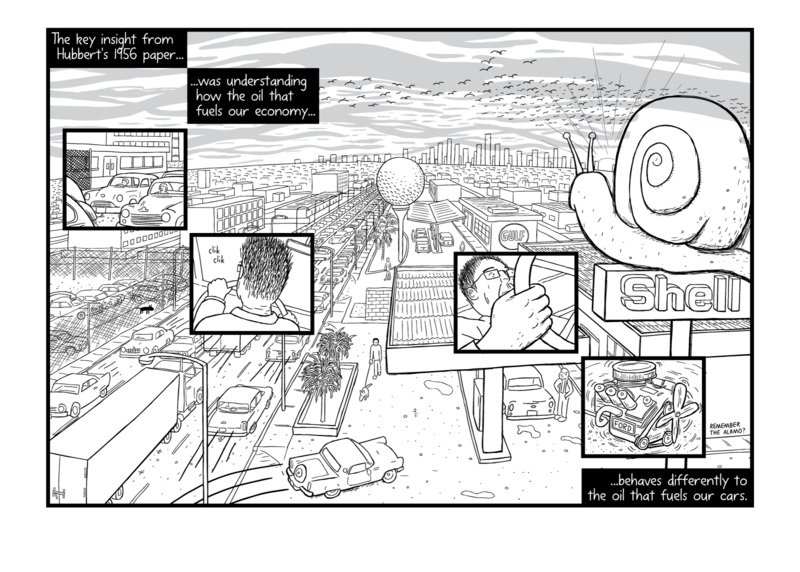 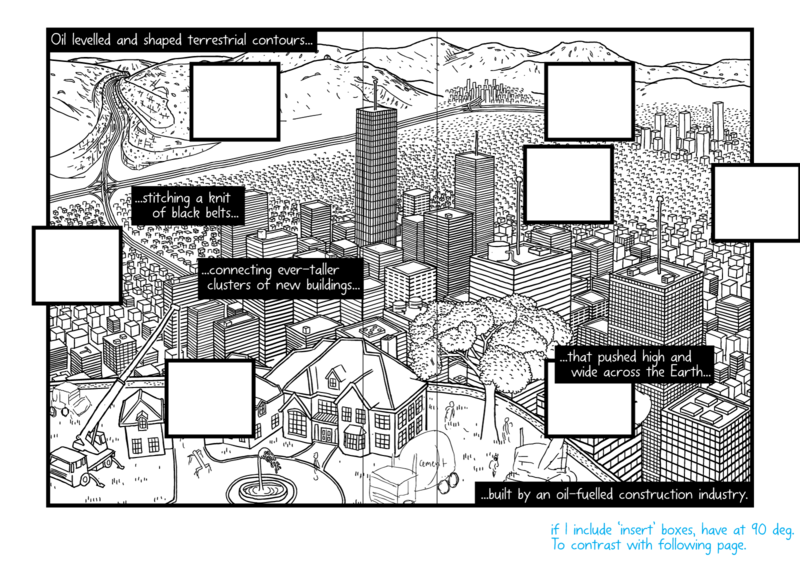 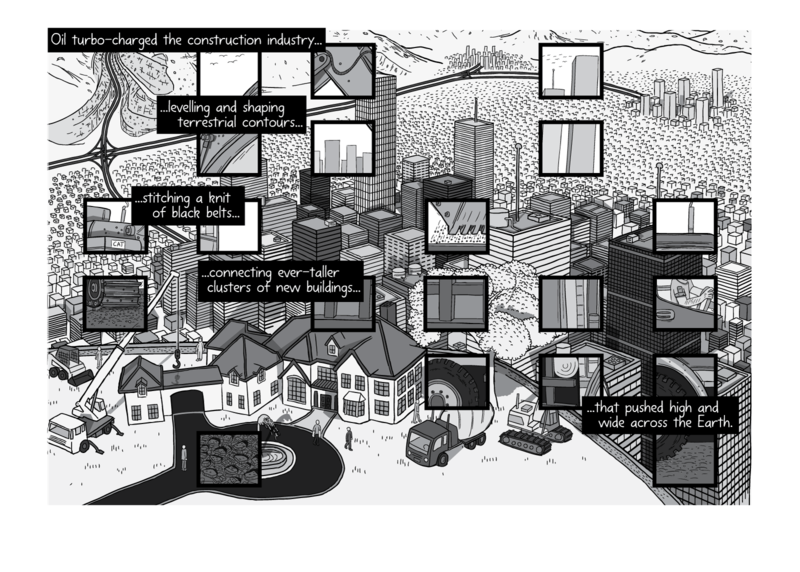 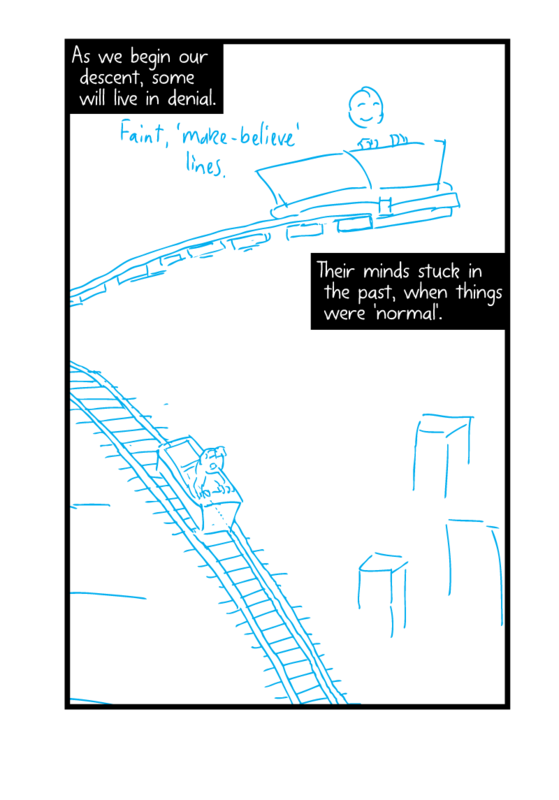 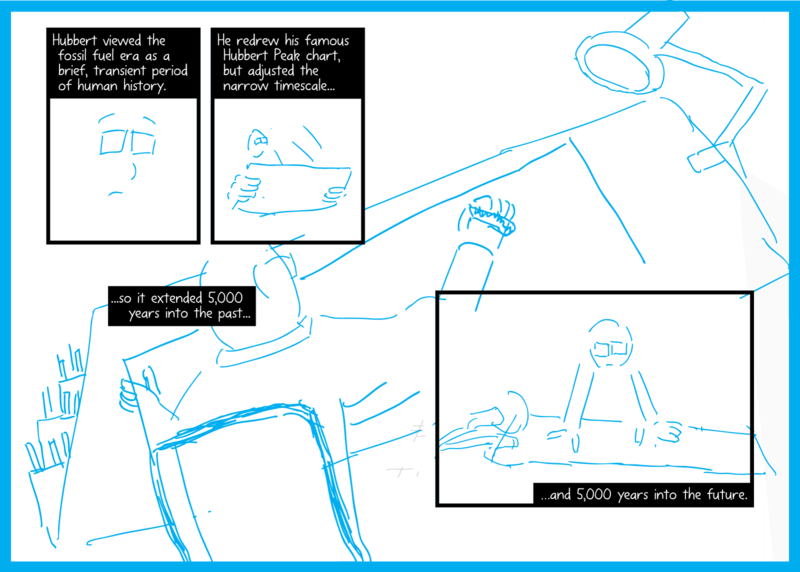 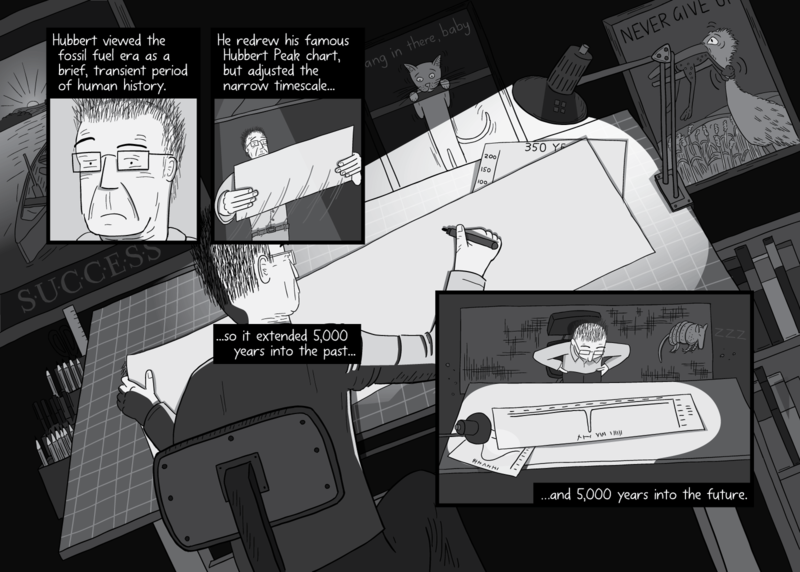 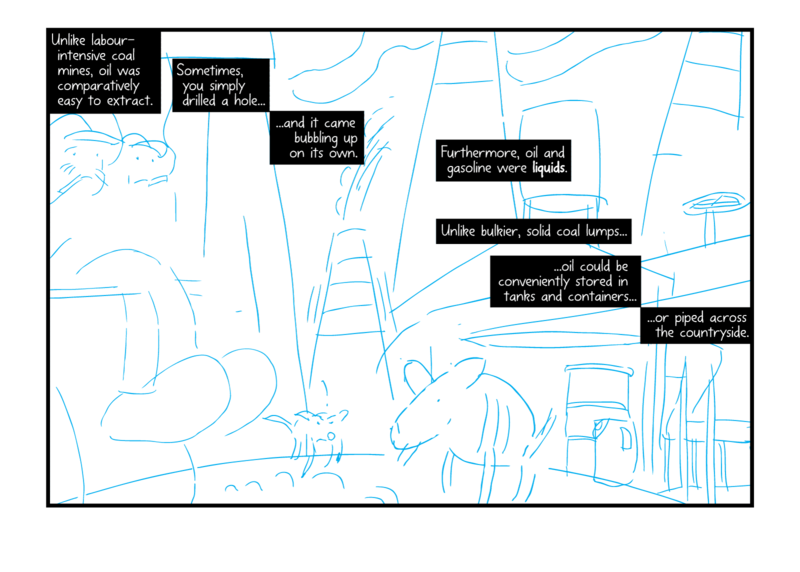 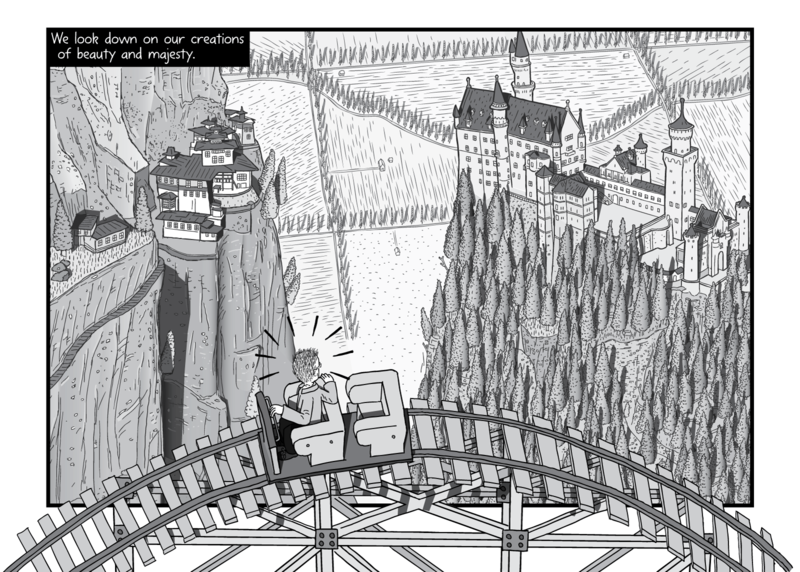 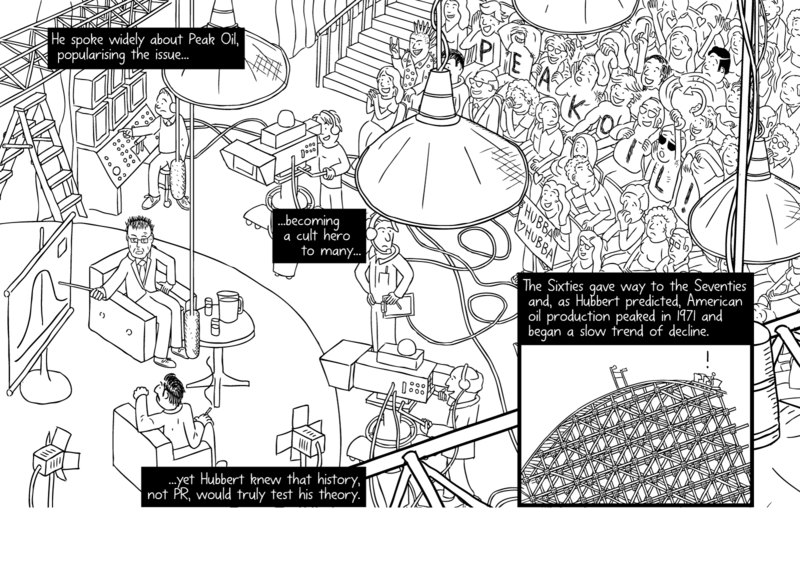 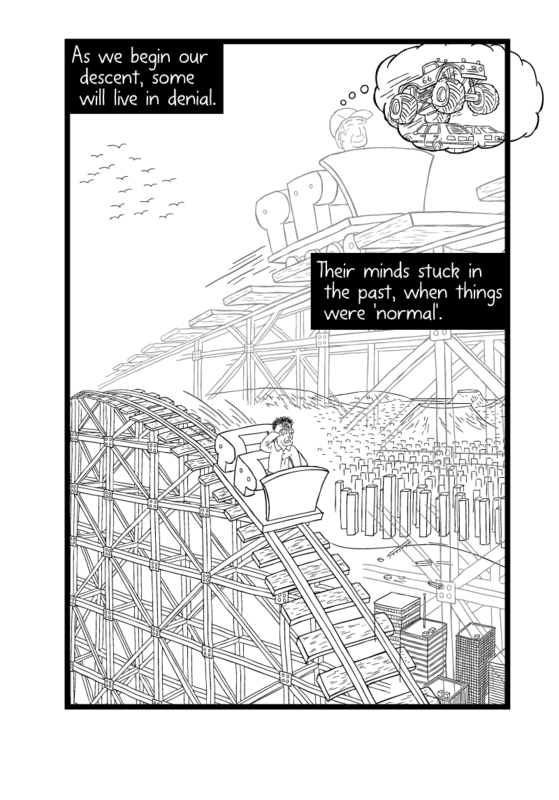 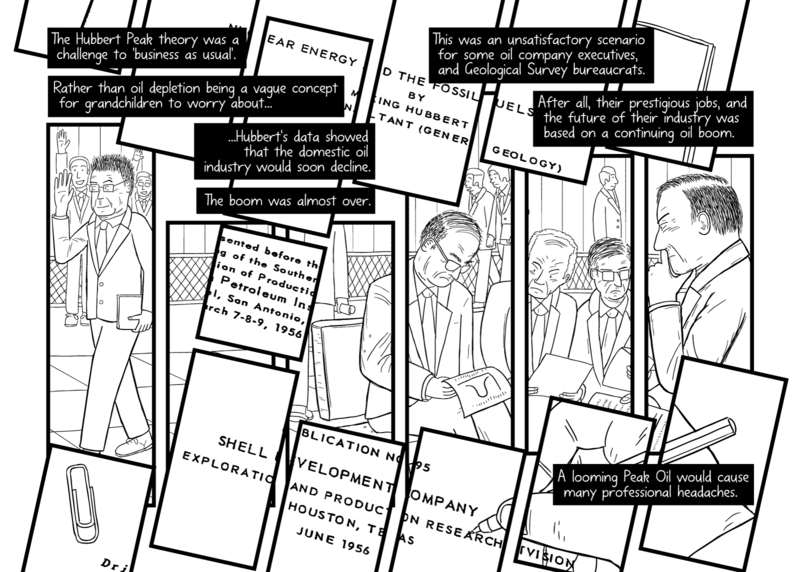 This is the fifth in a seven-part series covering various aspects of the Peak Oil comic’s creation process. 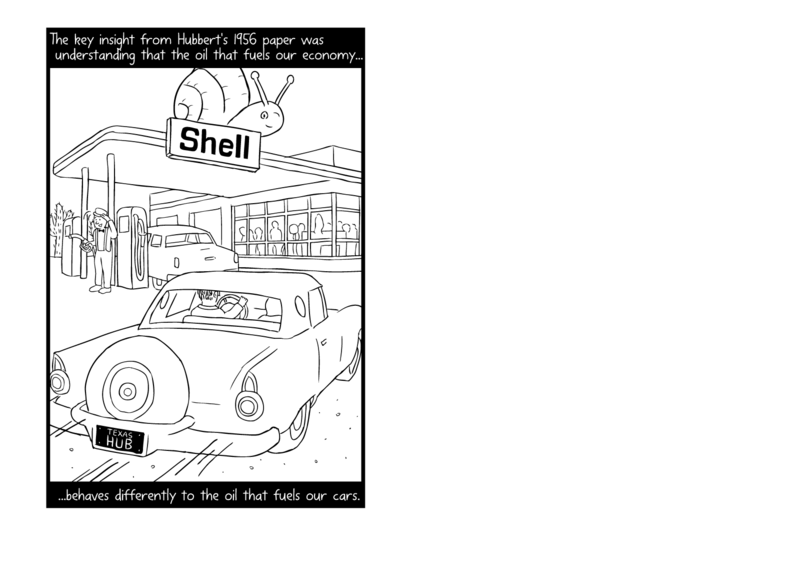 As I mentioned in The making of Peak Oil #3: snags and delays, I encountered several problems when creating Peak Oil. 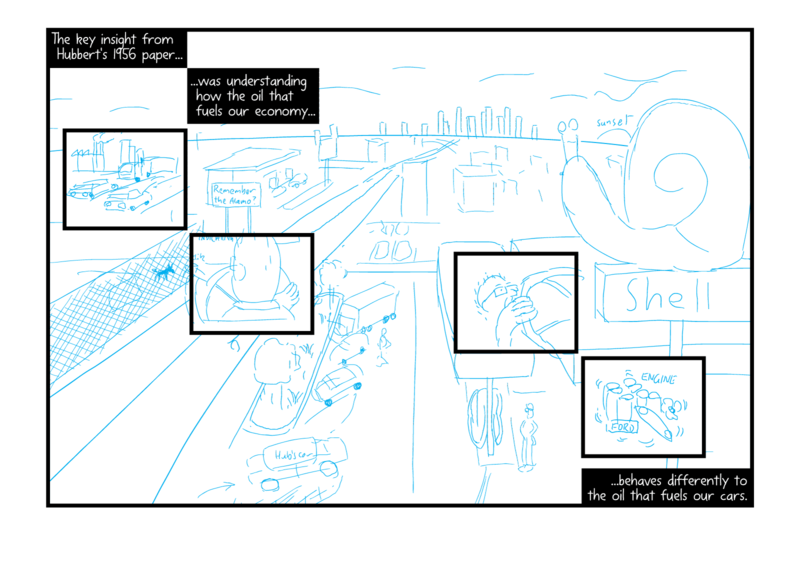 Some of these snags were technology-related. 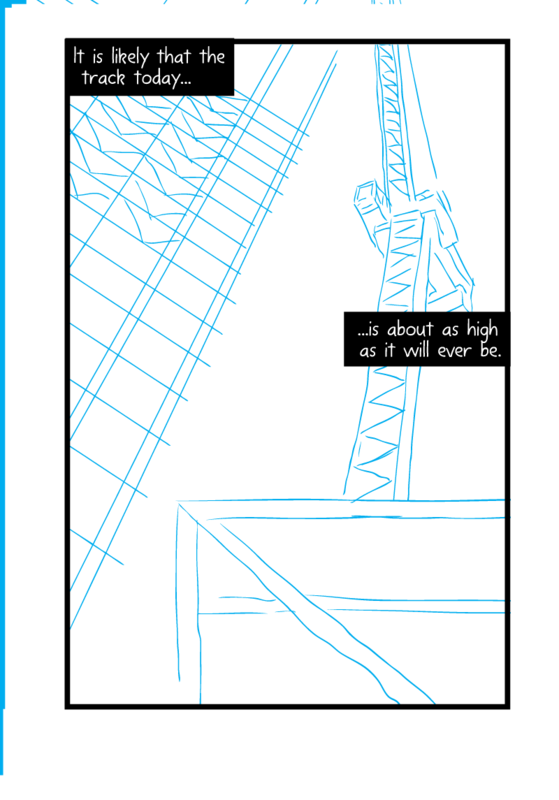 Others were related to me rushing to produce half-baked pages of artwork, and later deciding to re-draw at a higher standard of quality. 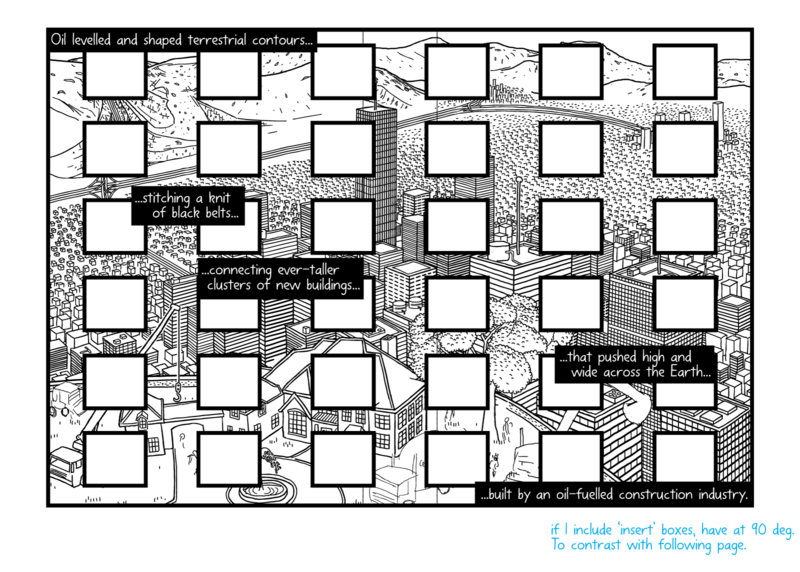 I have uploaded some interactive slideshow presentations, which allow you to skip forwards and backwards in time. 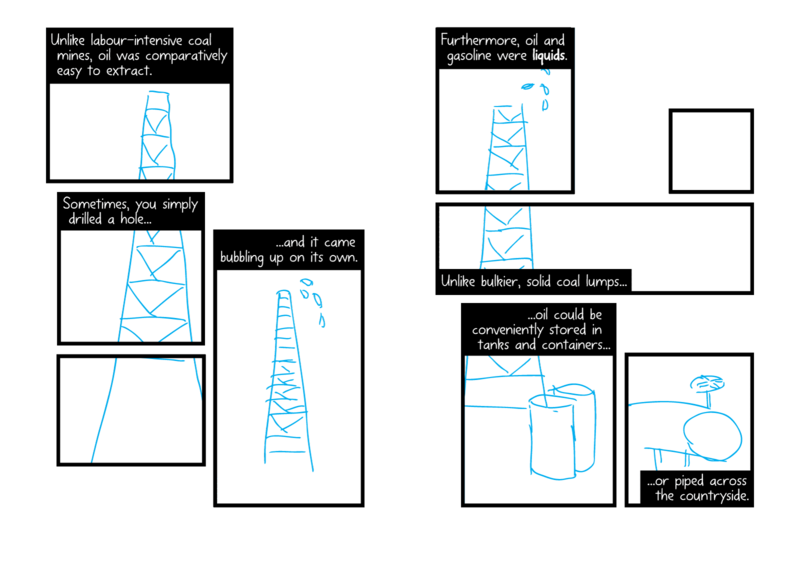 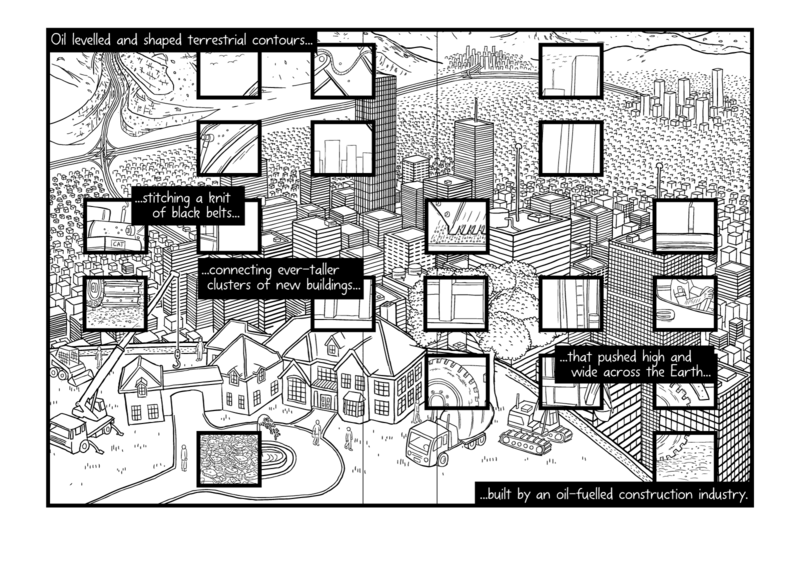 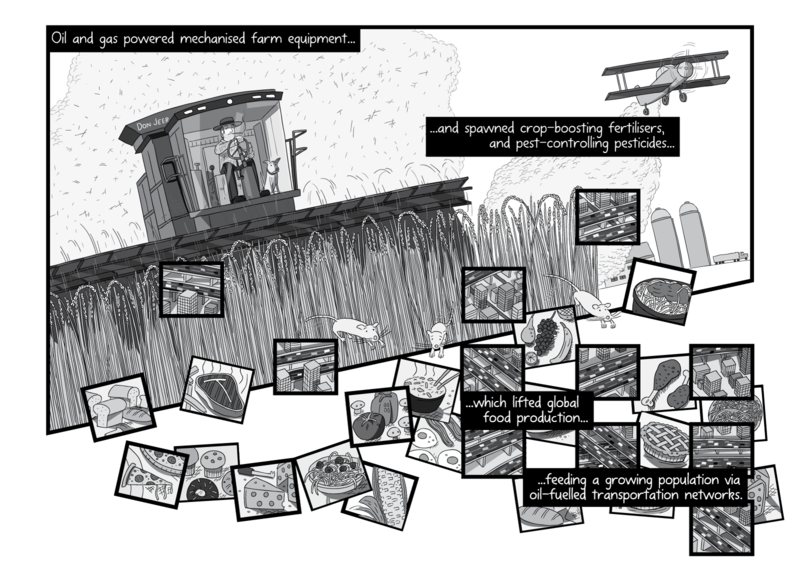 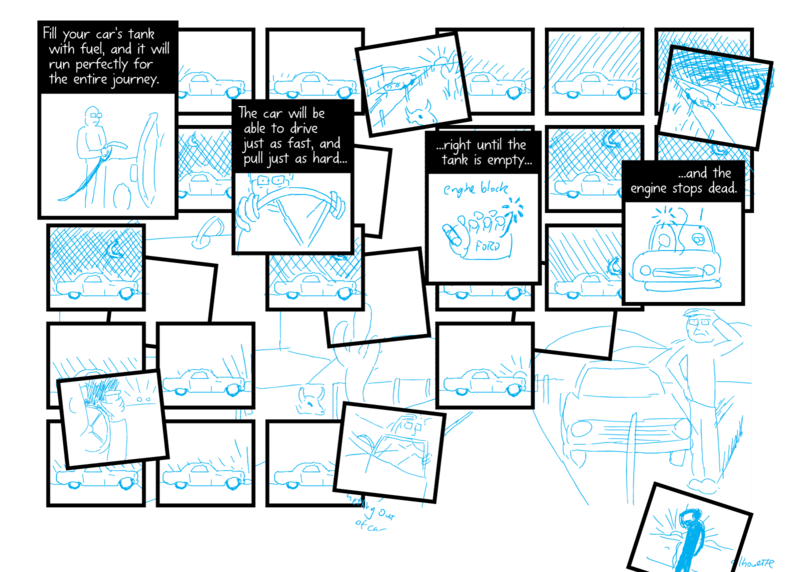 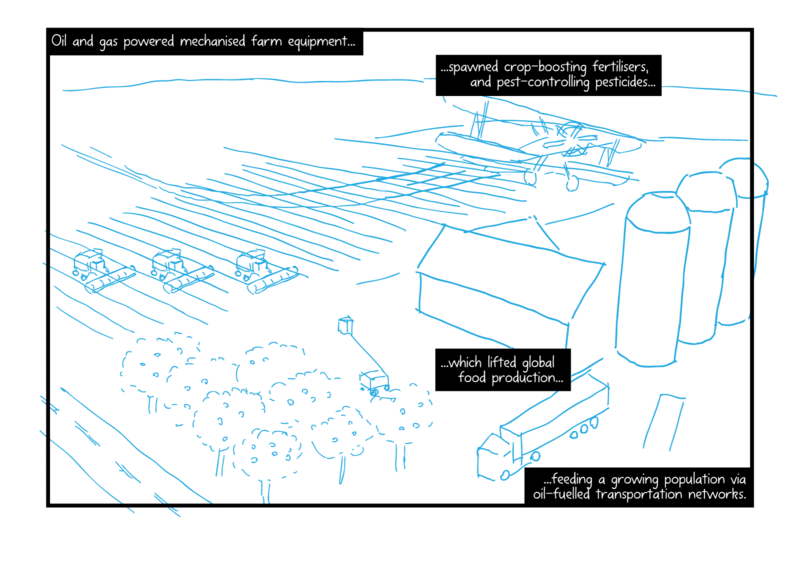 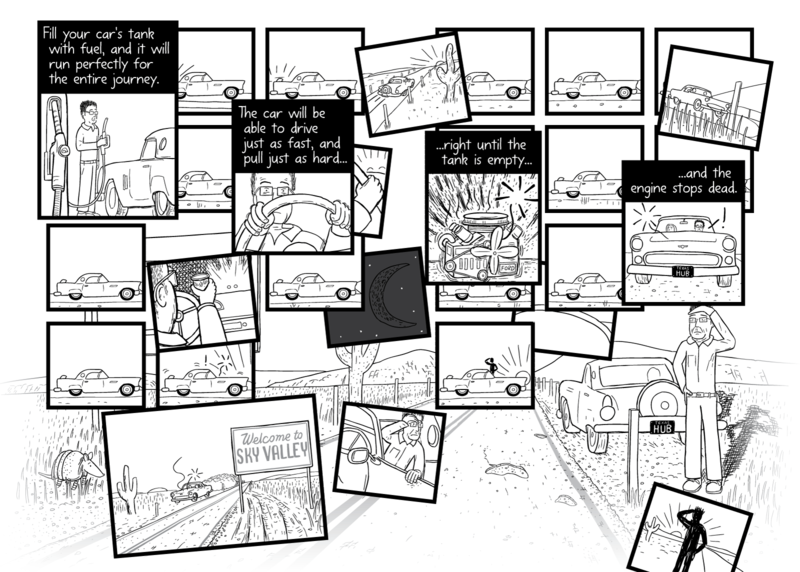 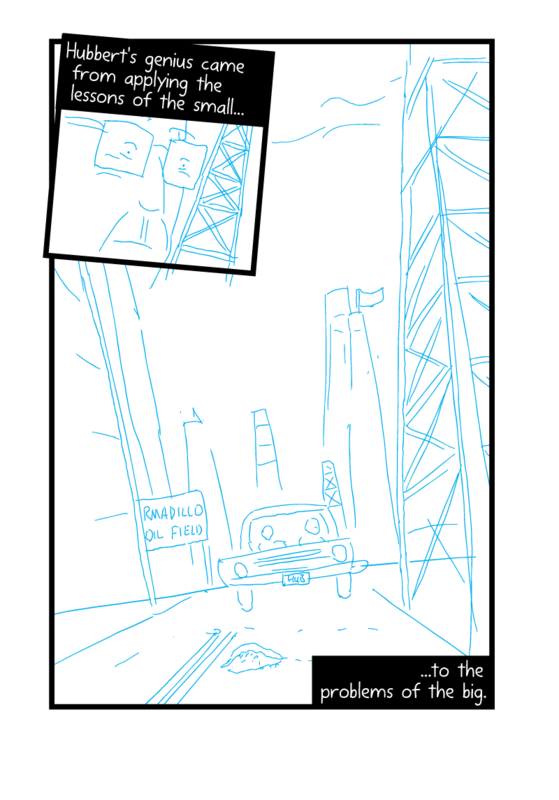 This allows you to imagine the illustration process that I described in The making of Peak Oil #4: my step-by-step process. 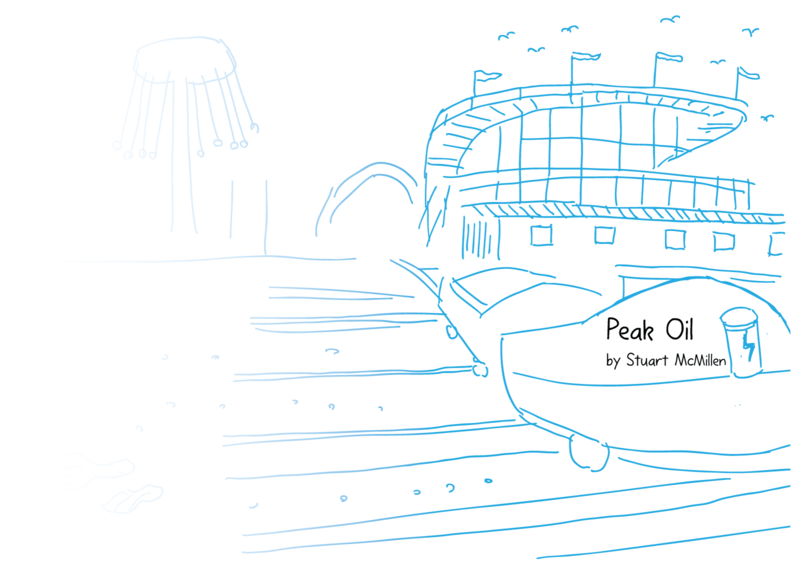 Use the slideshows below to see how some of my pages evolved over time. 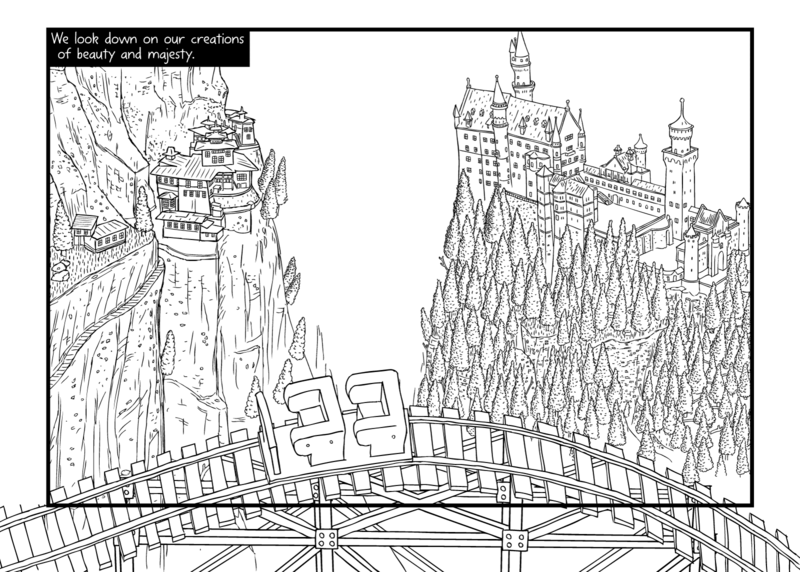 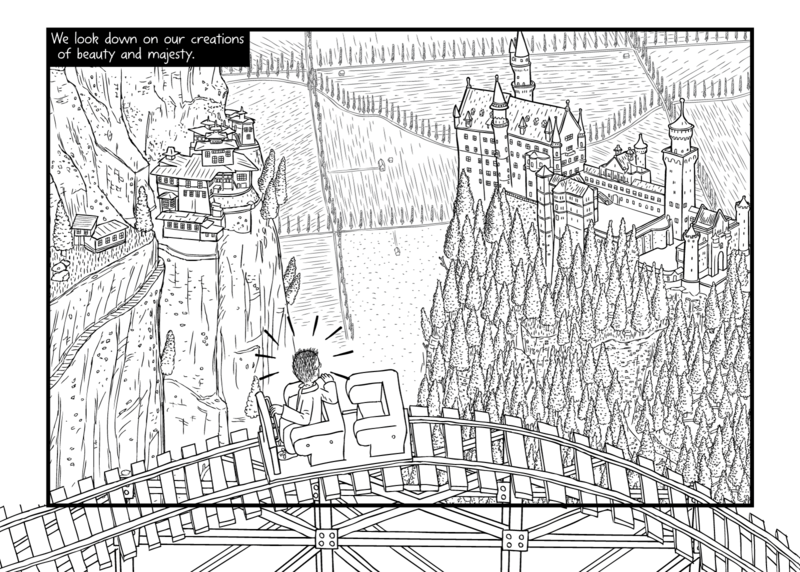 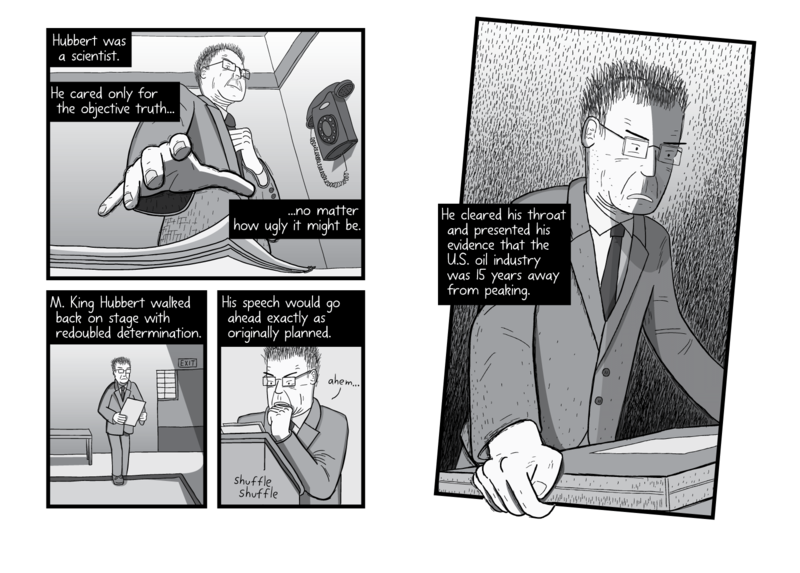 I think the page 56-7 and page 86-7 scenes are the most vivid examples of how I re-drew existing illustrations post-July 2014 to make the artwork look more detailed and convincing. In hindsight, the July 2014 versions of p56-7 and p86-7 look crude and crayon-like. 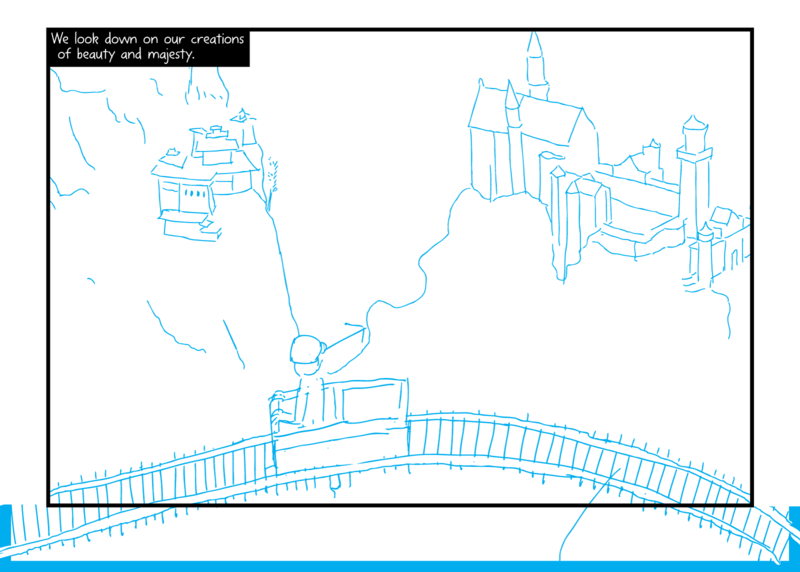 This is largely a consequence of my malfunctioning graphics tablet. 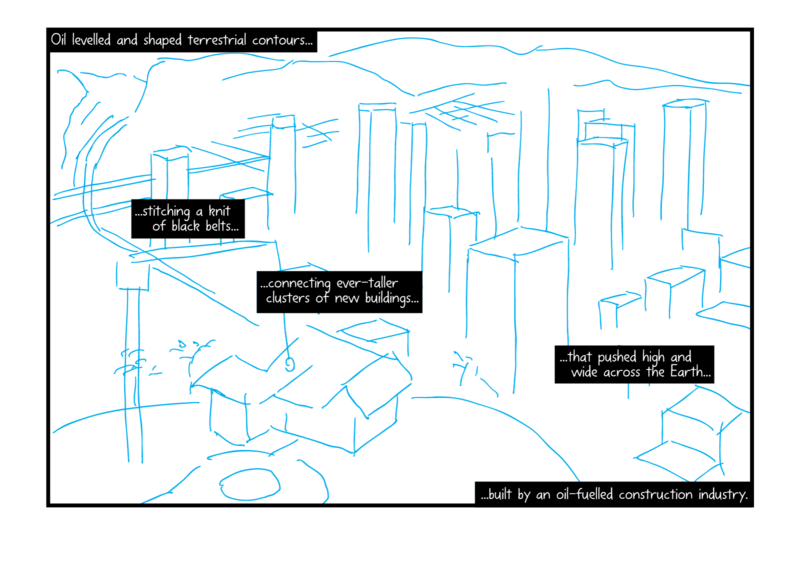 The final versions have a greater refinement and flair. 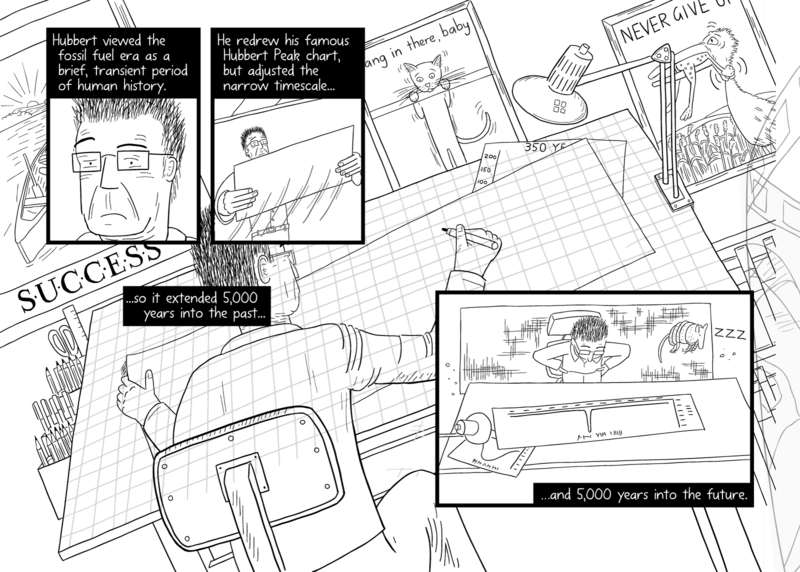 This is the fifth in a seven-part series covering various aspects of the comic’s creation process. 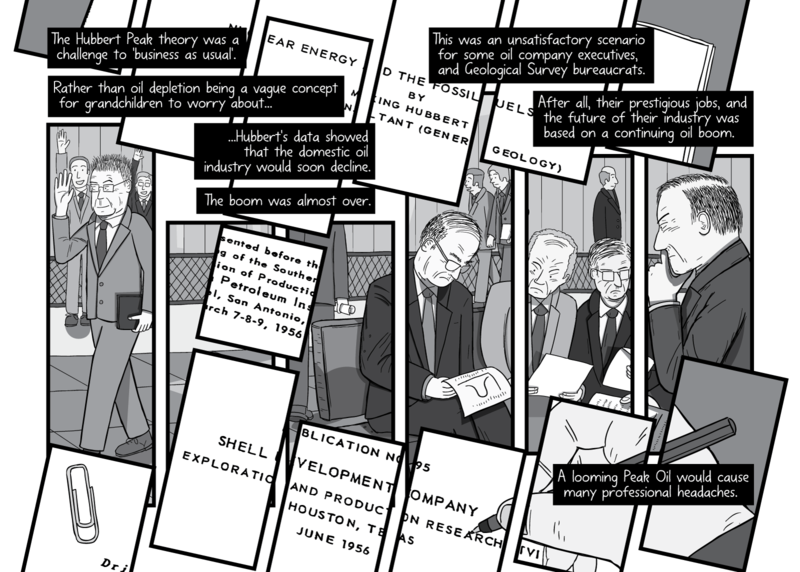 Next in the series is The making of Peak Oil #6: deliberate artistic decisions.